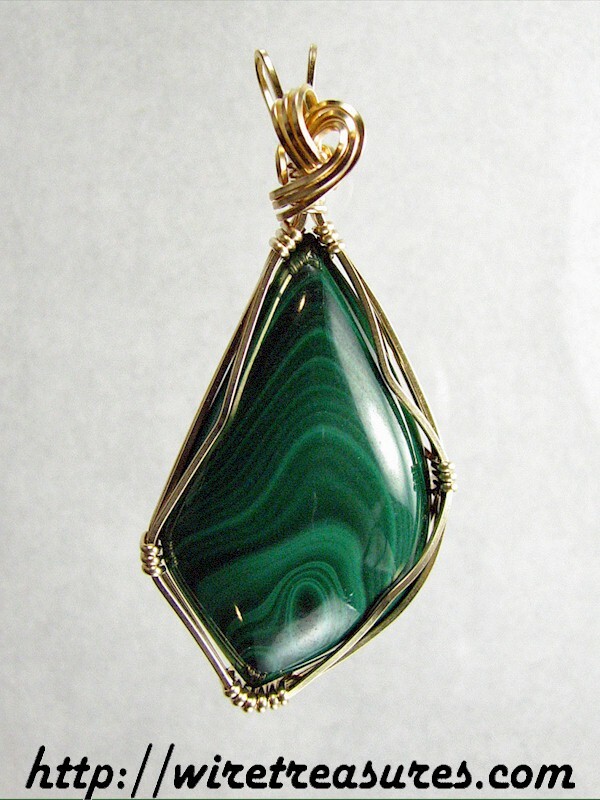 Goodness, I finished this Malachite pendant some time ago and forgot to add it to the web site! I love the wavy patterns in this cab, like magical ripples made by a magical frog in water. Is this pendant magic? When you wear it, let me know! This pendant is 2-5/16 inches high and 1-1/16 inches wide. Click here to see more views of this item. You are visitor number 789 to this page.